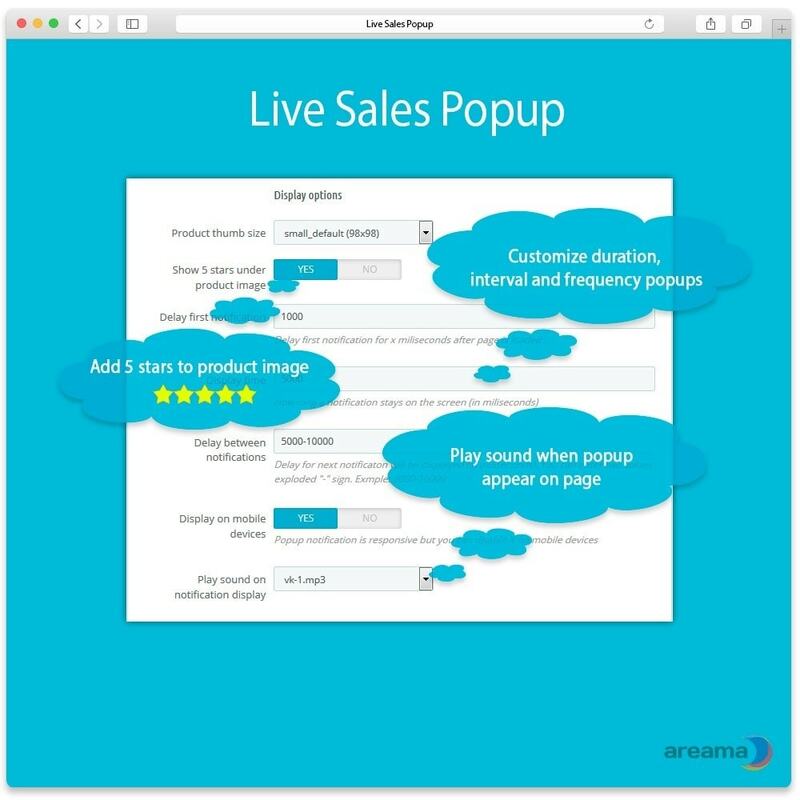 Live Sales Popup will display the latest orders placed on your shop to your visitors. 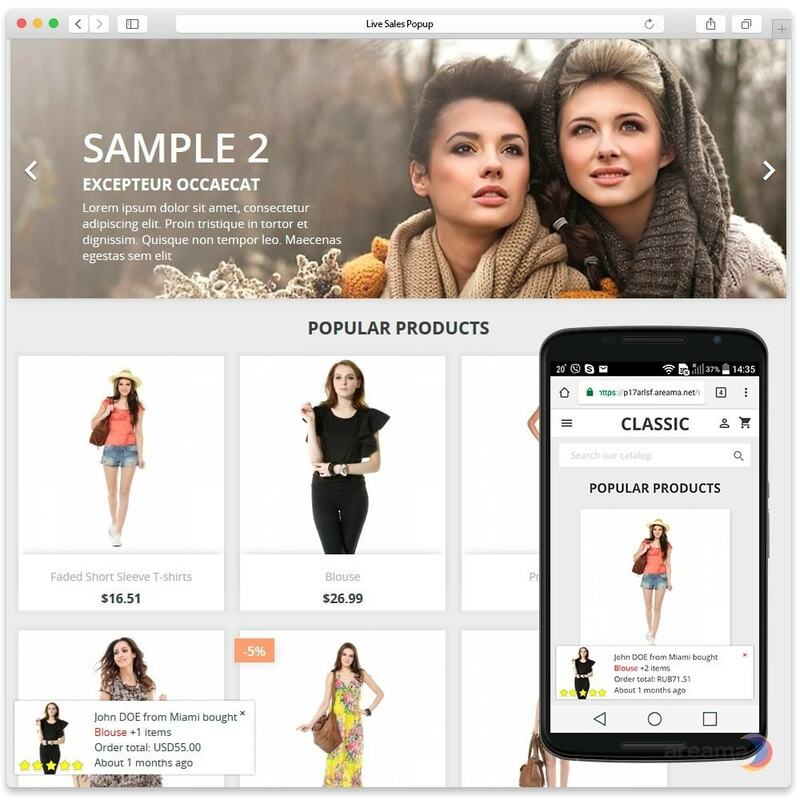 Also it will be displayed when product added to cart (optionally). 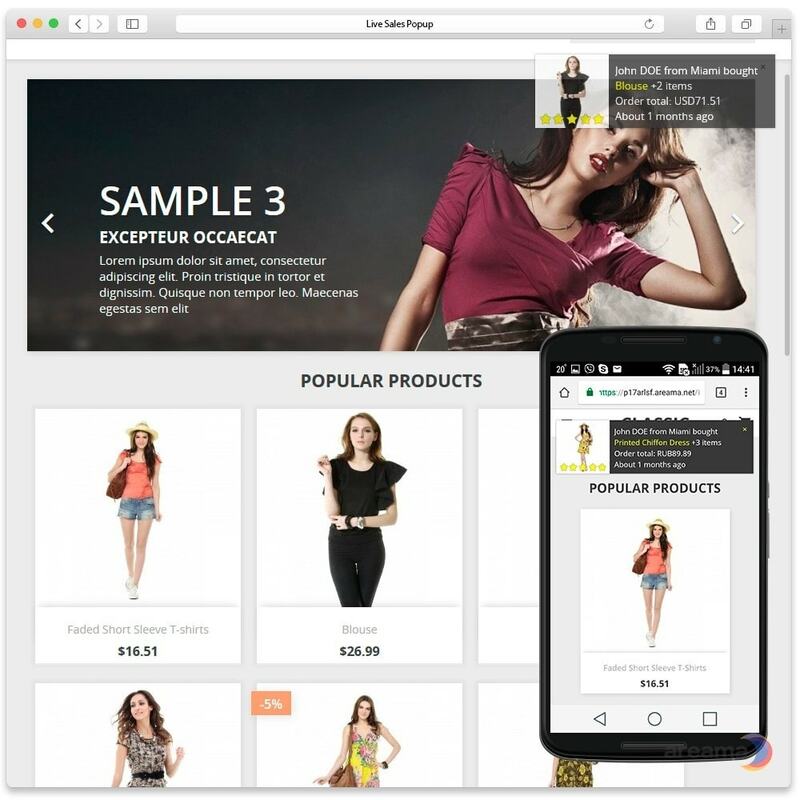 Order/cart information such as Product Name, Thumbnail image, Customer Name, Customer City, Time Bought and number of items in single order can be shown in the live feed notification with sound (optionally). When you have new orders popping in, they will be shown in real time without refreshing the page. You can turn on the sound option and this will attract even more attention of your site visitors. This creative marketing tool will increase visitor engagement on your website and dramatically increase your sales through ‘influential marketing’. 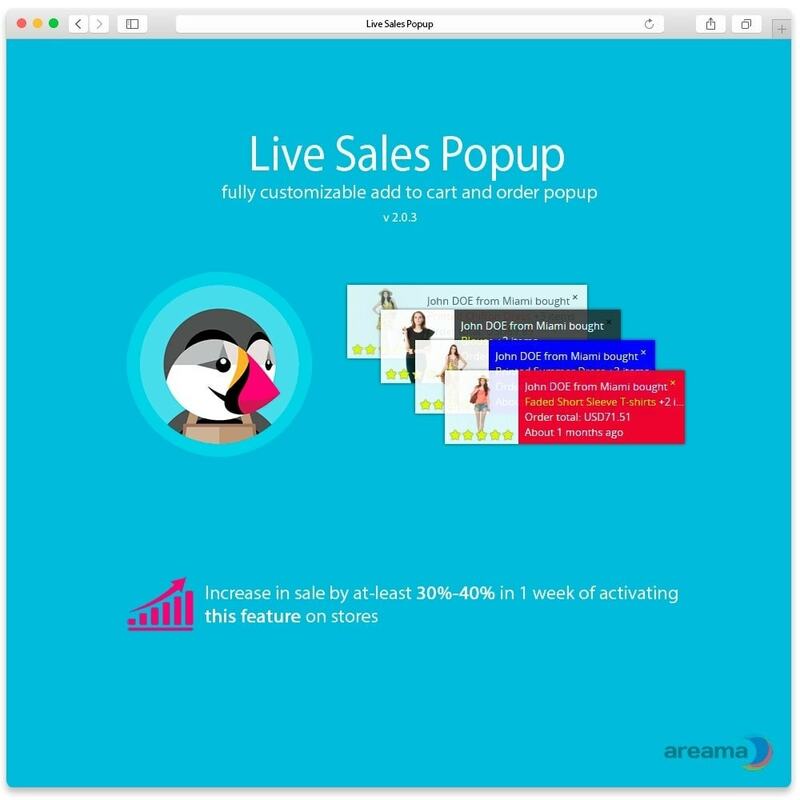 Reports show increase in sale by at-least 30% – 40% in 1 week of activating this feature on stores. 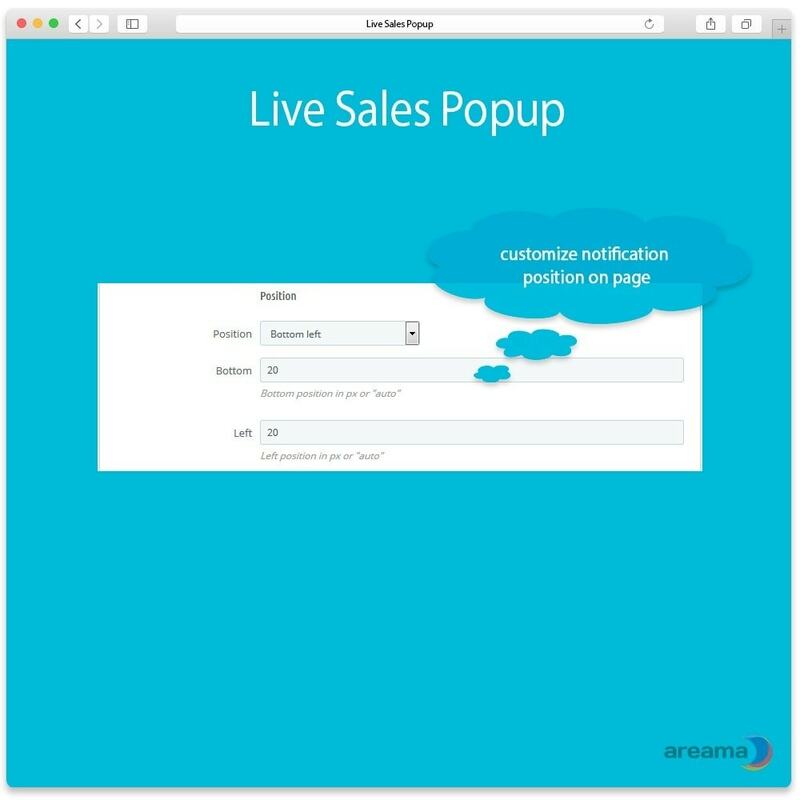 If you have a new store, Live Sales Popup will contribute to increasing the trust level on your site or if you have an established store, it will increase help boost your conversions dramatically. 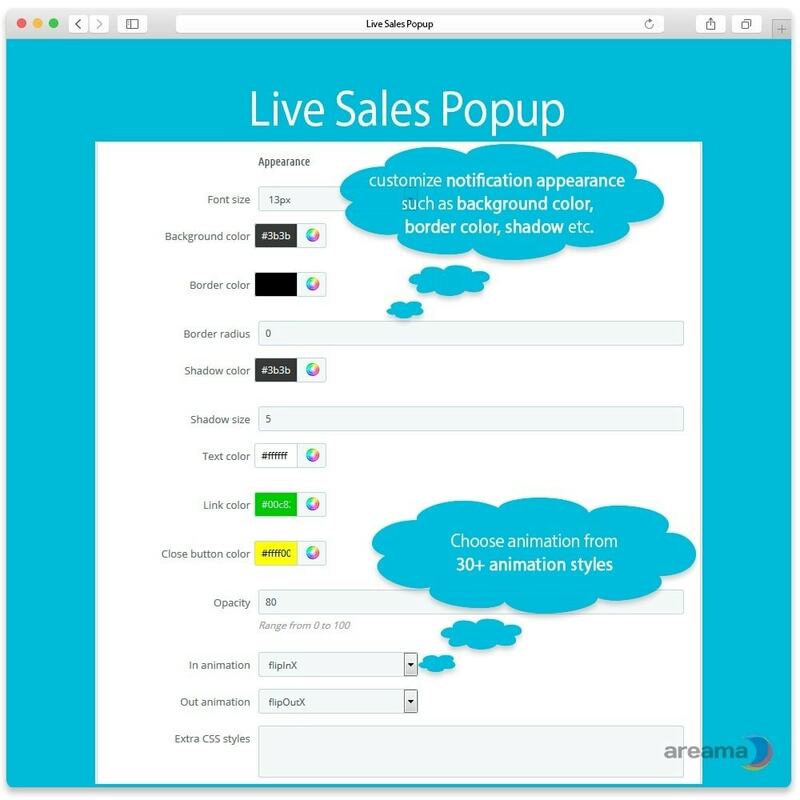 Live Sales Popup is a light weight plugin and works with all PrestShop themes. Since version 2.1.0 added fake purchase popup mode. This will boost your sales if you just started your store or when sales go bad. 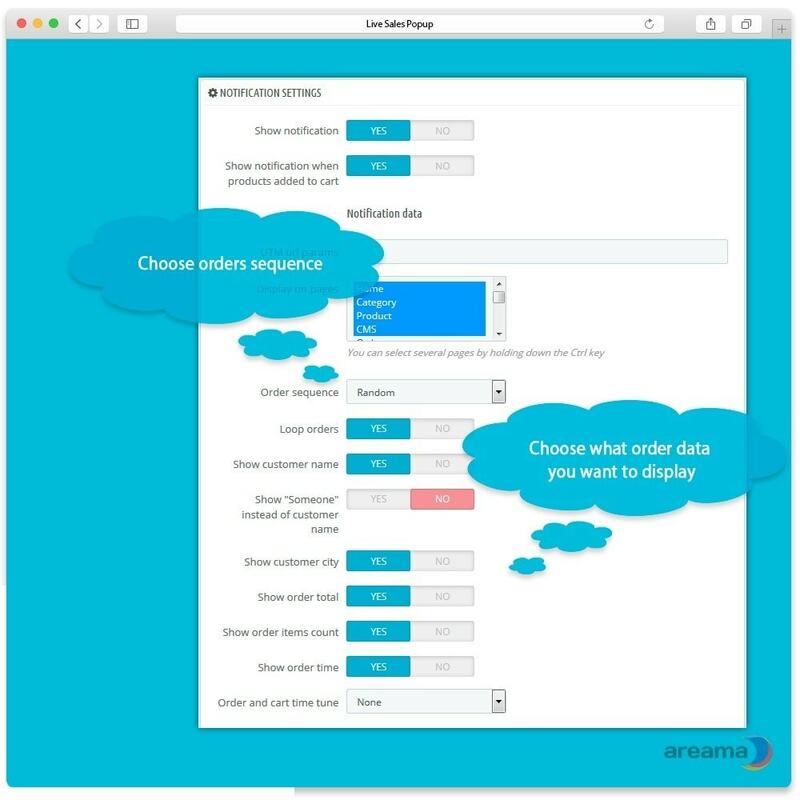 customize information in popup notification like customer name, city, order/cart total etc. customize notification appearance such as background color, border color, shadow etc. If you have any questions about this module please contact us. If you have any problems with module installation or configuration just contact us and we resolve them very quickly.